Norway’s OSM Aviation and the International Transport Workers’ Federation (ITF) have signed a Memorandum of Understanding (MOU) recognizing the right of employees to organize and laying the basis for genuine representation and collective bargaining rights to raise standards and working conditions, and to ensure professional services in the international aviation sector. The agreement will contribute to the best possible collaboration between unions and the company including not only adherence to International Labour Organization (ILO) core conventions on freedom of association, organizing and collective bargaining, but also the guarantee of regular meetings between unions and management and the inclusion of grievance and arbitration procedures. The ITF represents more than 5 million transport workers organized through 680 unions in 150 countries. “We’ve followed developments in international aviation with concern,” said ITF General Secretary Steve Cotton. “New players have emerged with models that challenge workers’ rights, aggressively pushing forward the race to the bottom. What that means in practice is an under regulated industry where standards for workers are in decline. 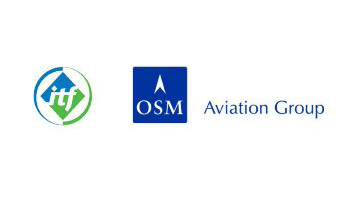 OSM Aviation is taking steps to promote permanent employment and orderly pay and working conditions. That’s a good starting point, and I’m pleased we have now put an agreement in place where we and OSM Aviation will cooperate with one another to protect union rights, social security and working conditions.